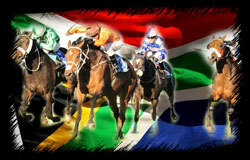 South African Horse Racing is gaining increasing exposure, and rightly so. With some top class trainers, jockeys and horses, there are some really interesting and high quality contests in the land of the Springbok. Leading trainer Mike De Kock regularly sends the best of his battalion out to Dubai early in the year, where he regularly scoops big prize funds, and this exposure on a world level has triggered the heightened interest. Betting exchanges are now taking note and are covering more South African markets, making it easier for punters to have a financial interest on this growing racing nation's fare. Betting exchanges have been around since just after the turn of the century. Developed by a former financial worker, they are based upon the stock market model, allowing individuals to effectively 'buy' and 'sell', on almost any sporting event they wish. In betting terms, buying is effectively backing and selling is the act of laying, that is betting on something not to win. The latter point has been a unique selling point of betting exchanges; until Betfair came into existence, only bookmakers could take bets on horses, football teams, tennis players etc. not to win. Betting exchanges have put the ball in the court of the punter and have significantly broadened the avenues from which individuals may profit. Not only can customers of exchanges strike back bets and lay bets, they can combine the two to trade much in the same way as individuals do on the financial markets.